Senior B.M.E. bass clarinetist Erica Wilt has been chosen as one of the Symphonic Wind Ensemble’s Concerto Competition winners this year. She will be performing on the ensemble’s April 25 concert, playing As If by Patrice Sciortino. 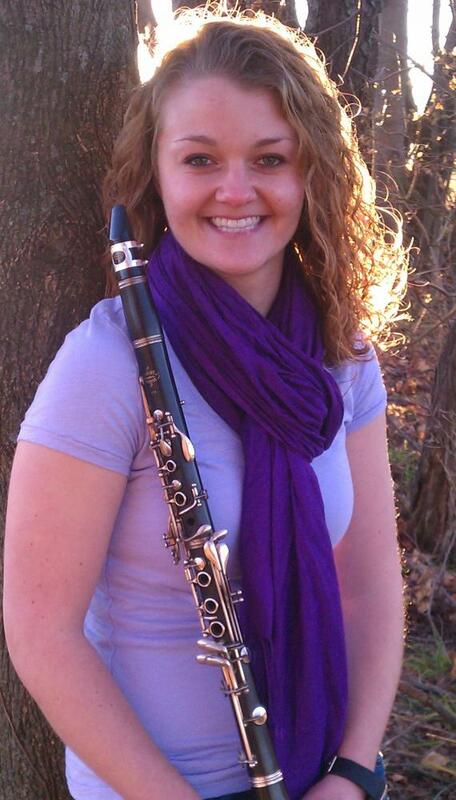 Erica, a clarinet student of Anthony Costa, has been an active member of ensembles throughout her undergraduate career, participating in Symphonic Wind Ensemble, Symphonic Band, Philharmonic Orchestra, Blue Band, and Clarinet Choir. She also has been an active chamber music participant, playing in a clarinet quartet and a woodwind trio. Erica is the recipient of the Philip & Eleanor Prutzman Blue Band Scholarship, the Blake & Linda Gall Trustee Scholarship, and the Grace Allis Schiff Memorial Trustee Scholarship. She won the Performer’s Recognition Award in fall 2012. Erica is thrilled to be playing solo bass clarinet with the Wind Ensemble, stating that “it is very uncommon to see an instrument like this featured as a soloist…Dr. Costa had recommended I play this piece because it shows the versatility of the instrument, and not many people get to hear that from a bass clarinet!” She is also thrilled that, with this performance, she will have had the opportunity to perform three different arrangements of the composition: for bass clarinet and piano; bass clarinet, marimba, and vibraphone; and for bass clarinet and Wind Ensemble. From Sinking Spring, PA, Erica is a student member of the National Association of Music Education and the Pennsylvania Music Educators Association. She will graduate in May, 2013 and pursue a career in music education. After gaining teaching experience, she hopes to continue her formal music study by entering a graduate program for wind conducting.